INOVA (Institute of Visual Arts) is the contemporary art gallery at the Peck School of the Arts, University of Wisconsin-Milwaukee. Since 1996, INOVA has been widely recognized for our support of artists’ new work, for our rigorous curatorial program, and for bringing innovative art to the UWM campus and the city of Milwaukee. INOVA embraces a dual role in Milwaukee — we are the preeminent contemporary art center as well as a research institute at the UWM. This identity, unique in our region and one fitting an innovative university gallery, inspires us to explore new approaches to programming, to be experimental in content, and to engage current issues in art, culture, and society. We make the diversity of contemporary art production accessible to audiences through a variety of public presentations and publications. Our exhibitions and programs provide firsthand experiences with works of art and the dialogue art can generate. During the NCECA conference, we are featuring new work created by the talented emerging artists Benjamin DeMott and Lisa Selby. Their exhibitions are on view March 19 – May 18, 2014. In the exhibition Teeter Jam, DeMott explores the intuitive side of art making, a process DeMott describes as one of “knowing through making.” The craft of ceramics sits squarely with this phenomenon as it is a largely physical endeavor grounded in understanding the limits of its primary material, clay. DeMott steps outside this process-rich history of the medium to think about how we might represent these subjective moments. Inspired by the theory of kinesthetic empathy (a way of learning guided by the body’s perceptions of actions), DeMott proposes an installation imagined as a fictitious workshop. Here a variety of assembled sculptures play distinct roles. Larger works resembling deconstructed figures stand in for the craftsman. Made of molded clay and specific applications of glaze, they signify both the ceramicist’s expertise and the ceramicist himself. They contrast distinctively with two other types of sculptures: delicate linear constructions of extruded porcelain and assemblages of readymade objects. Suggesting the craftsman’s products, some include DeMott’s actual tools integrated into the things they are used to make. By merging materials and means, the works become a spirited reflection on the labor integral to creativity. INOVA is on the act as well, performing the role of the workshop space. The peculiarities of the gallery’s architectural features, light from the windows, pedestals and vitrines contribute to the installation as sculptural materials, playfully complicating any sense of completeness we would like to assign the fired clay, wood, and metal objects. The sensory experiences in the exhibition ask us to leap from the material world of objects to the subjective realm of creative play. Lisa Selby is a London-based artist whose installations incorporate found objects, sound, video, performance and clay. Her most recent work explores the performative nature of clay, particularly in relation to gendered notions of domesticity. ‘Must come down’, Lisa Selby’s first solo exhibition in the US, explores the performative nature of clay, particularly in relation to gendered notions of domesticity. In the works on display, a video of a performance of a British afternoon tea ceremony, sound sculptures and installed clay objects in both fired and unfired states become catalysts for transformation through the parameters that the artist imposes on each work. As such, the objects in Selby’s project become active agents that emit sound, droop, fall and break rather than passive vessels that merely contain. They become participants in destabilizing the traditions and gendered etiquette historically attached to the domestic realm and to the medium of clay. Benjamin DeMott is on the faculty of the School of The Art Institute of Chicago. He received his BFA in 2004 from Tyler School of Fine Arts at Temple University, Philadelphia and his MFA from New York State College of Ceramics, Alfred University, Alfred, NY in 2008. His work is exhibited widely including the group exhibition Overthrown: Clay without Limits at the Denver Art Museum (2011); and at the Ice Box (Grey Space), Philadelphia, PA; Meulensteen Gallery, New York, NY; Jane Hartsook Gallery, New York, NY and Greenwich House Pottery, New York, NY. 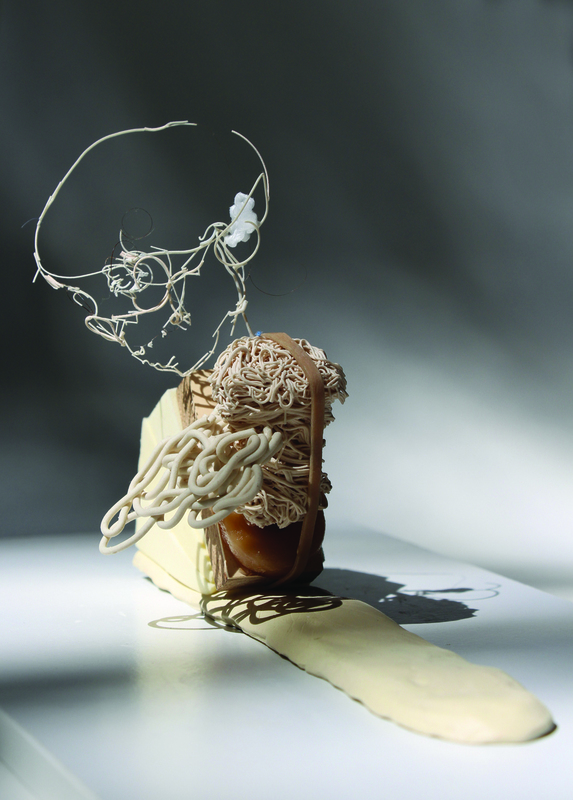 DeMott’s work has been featured in the publications Ceramics Now and Artforum. He lives and works in Chicago, IL. Lisa Selby graduated from the Goldsmiths MFA course in 2011, and since then has taught as an Associate Lecturer at Nottingham Trent University and Camberwell College of Arts, UK. She has been awarded the Royal British Society of Sculptors 2013 Bursary Award and was selected for a solo show at the Surface Gallery in Nottingham. 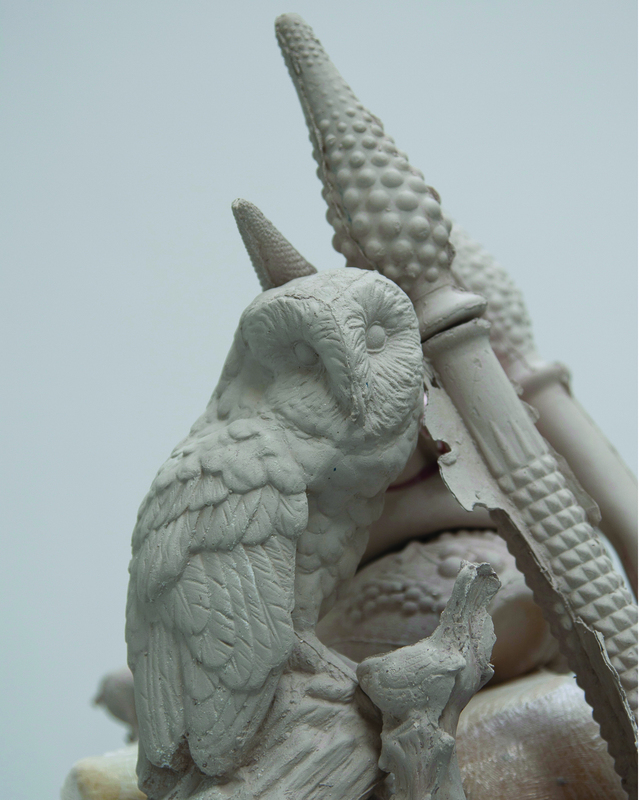 This year, Selby will attend a ceramic-based residency at Künstlerhaus Stadttöpferei Neumünster, Germany. She is currently a visiting artist in residence in the Art Department at the University of Wisconsin-Madison. Her work is exhibited widely including The Surface Gallery, Nottingham, UK (2013), Royal British Society of Sculptors (2013) and Apartment 58, London (2012).